Mexico has long been a traveler’s favorite hot spot due to the sheer number of different things to do, see and eat. Whether you are making a day trip through San Diego to Tijuana or plan to fly directly to the coastal paradise of Cancun, the possibilities for your Mexican adventure are endless. No matter what your interest, Mexico has many stunning destinations that are sure to please every taste and budget. Due to its perfect coastal climate, the beaches in Mexico are a top pick for sun lovers and sporting types, with snorkeling, surfing and parasailing always on offer. Clear and temperate ocean water makes scuba diving among the wildlife of the country’s many reefs a truly magical experience. Swimming with the dolphins in Punta Mita is also not to be missed! If sea life isn’t your thing, Mexico also has many ancient ruins to explore. Among the top places to visit archeological sites in Mexico are Quintana, Chiapas and the Yucatan peninsula. For a special treat, check out Teotihuacan right outside Mexico city; its Pyramid of the Sun is one of the largest in the world. Riviera Maya, or the Mayan Riviera, in Quintana Roo on the Yucatan Peninsula is known for its vast number of all-inclusive resorts and smaller boutique hotels. A top draw in this area continues to be the Belize Barrier Reef, a perfect spot for underwater exploring. Given its location in Central America there is really no “best” time to travel to Mexico, at least in terms of weather. If the beach is your destination, you’ll find tropical breezes almost every day of the year. However, weather isn’t always everything. 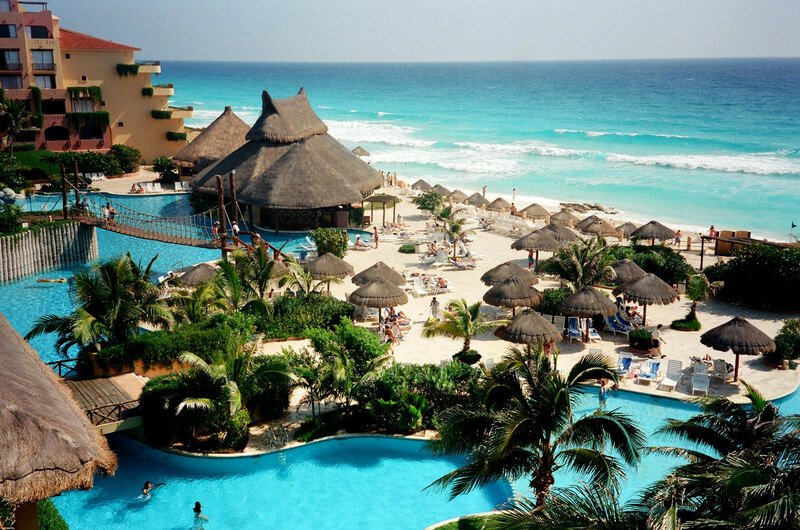 Like most vacation destinations, crowded conditions do not make for the most pleasant experience so it’s best to stay away from Mexico during the major Christian holidays and Spring Break. If crowds are your thing, though, be sure to visit during one of the popular festival periods, such as Day of the Dead or Fiestas de Octubre in Guadalajara, where you can listen to mariachi bands and drink tequila until the cows come home. And what vacation would be complete without a sampling of the local fare? Mexican food is famous all over the world and thousands flock to the source each year just to eat, drink and be merry. Things like peppers, beans and corn form the base of a wide variety of European-inspired dishes, and don’t forget to wash it all down with an ice cold Mexican cerveza, or beer. Whether you are a beach bum, sea creature or history buff, you’ll always find something to do. Vamanos a Mexico! Visiting the city of San Francisco is truly a treat, from the moment it welcomes you as you drive over the iconic Golden Gate bridge. San Francisco, which is Spanish for Saint Francis, is the leading financial and cultural center of Northern California and the San Francisco Bay Area. It was founded on June 29, 1776, when Spanish colonists established a fort and a mission named after St. Francis of Assisi. The California Gold Rush of 1849, from which the city’s football team gets its name, pushed the city into a period of rapid growth, making it into one of the largest cities on the West Coast. During the 1960s it became ground zero for the Summer of Love and the gay rights movement, marking San Francisco as a center of liberal activism. The city still has a tremendous homosexual population, making it a great place to stay if you’re gay. You can take a trip back in gay history at the Castro Theatre, an iconic movie palace dating back to the 1920s that houses small, independent films. There’s also the San Francisco LGBT Pride Celebration, the largest lesbian, gay, bisexual, and transgender gathering in the nation, centered at the foot of San Francisco’s historic city hall, where Harvey Milk, the first openly gay man to be elected to public office in California, once stood and addressed the gay community over thirty years ago. It’s a gathering of exhibitors, artists, and performers that could only happen in San Francisco. To learn about San Francisco’s gay history and culture, take a two-hour tour that winds through one of the city’s most famous districts. Or come out to Dolores Park, nicknamed the gay beach and one of the most popular parks in San Francisco. It is located at the intersection the Castro, Mission District and Noe Valley, and is known for its spectacular views of the city. And one can’t forget the gay club scene, with nightclubs in every genre to suit a variety of tastes. 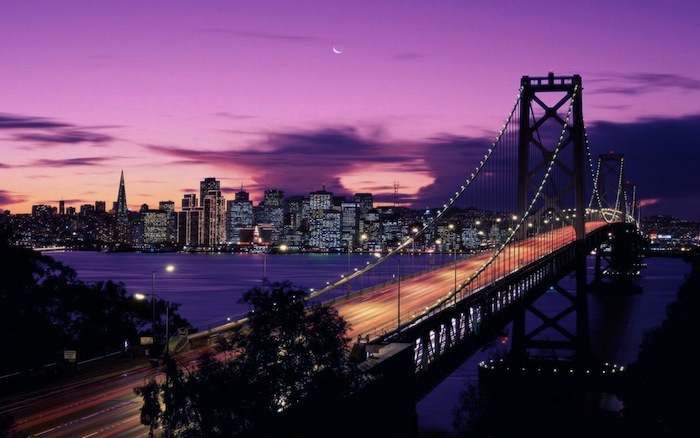 They include The Lookout, Yoshi’s Jazz Club & Japanese Restaurant, the California Academy of Sciences Nightlife, the Badlands, The Rrazz Room at Hotel Nikko, and Harry Denton’s Starlight Room. If you’re straight, San Francisco has lots to see and do as well. You can enjoy some of the finest cuisine and wine in this epicenter of epicurean delights, and check out some culture at Palace of Fine Arts. There are diverse neighborhood festivals to enjoy, featuring live music and fun. You can see San Francisco from a seat on a double-decker bus tour, or ride a cable car for fun. You can visit the largest Chinatown outside of Asia for some cheap souvenirs and great food. Or you can take a ferry ride to The Rock, also known as Alcatraz Island, which once housed a lighthouse, a military fortification, a military prison in 1868, and a federal prison from 1933 until 1963. During that time, it held some of the most dangerous and infamous criminals in the U.S., including Al Capone. In 1972 Alcatraz became a national recreation area, and it became a National Historic Landmark in 1986. And there is a straight nightlife too, with live music, bars and lounges for every taste, huge dance clubs and stand-up comedy venues.